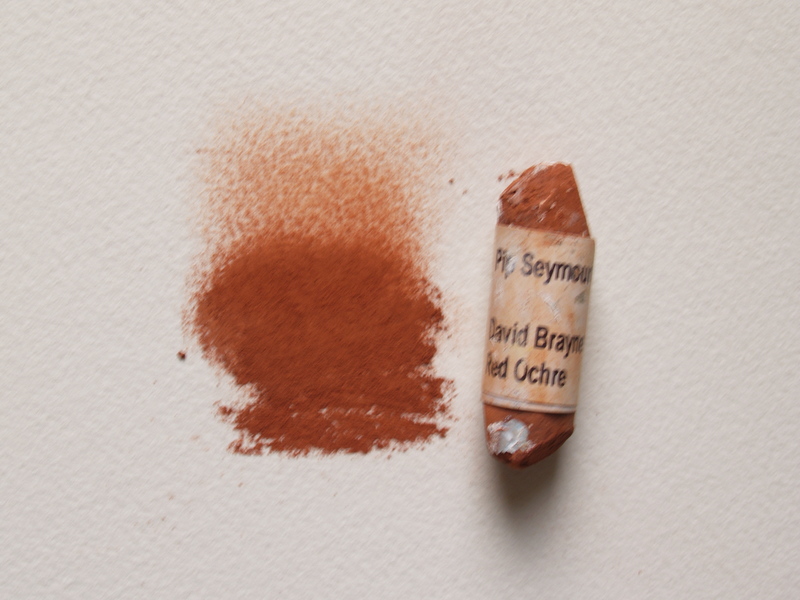 Red Ochre is a familiar substance in my studio, where I have a large collection of jam jars filled with pigments of many hues. I have used them for a number of years alongside tubes of watercolour. I mix the pigments with a binder, usually an acrylic medium or gum arabic (the traditional binder in watercolour), to make the paint I need, and find that it’s a direct and uncomplicated process. Each pigment has its own characteristics and it takes a little practice to get to know them and to find the best way to prepare or apply each one. I particularly like using transparent iron oxides. They appear quite dull in their dry state, but once worked into a medium become clear, bright, intense and transparent earth colours. 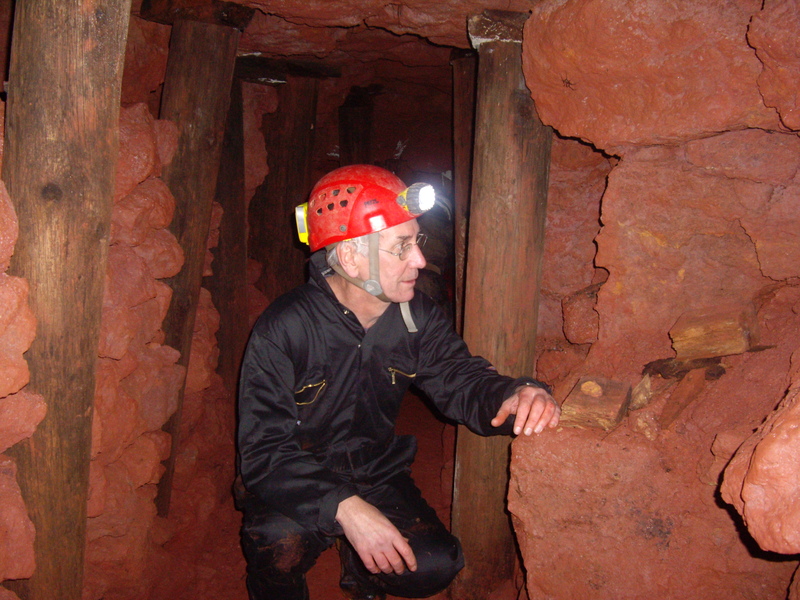 The iron oxides help me to create oranges, yellows and reds, so the opportunity to visit an ochre (red iron oxide) mine, no more than eight miles from home, was one I could hardly turn down. The mine is located in a wood on the edge of Compton Martin, a small village on the north side of the Mendip Hills in Somerset. A network of underground tunnels which were probably worked for some considerable time, it fell into disuse just after the Second World War. Knowledge of its existence faded from local memory and the villagers were surprised when cavers rediscovered it about 15 years ago.